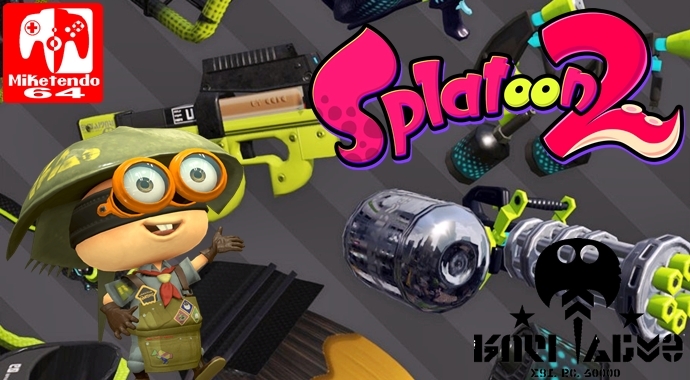 Welcome back to Miketendo64’s Ammo Knights Newsletter, our weekly helping of dedicated coverage of upcoming weaponry and specials for Splatoon 2. Hello, fellow researchers. A new custom weapon is rumored to be available tonight at Ammo Knights and it’s customary for us to note this in our research. If you head there tonight, you may find the Custom Jet Squelcher! Like the other “custom” weapons we’ve seen before, this one is bringing a different look to an old favorite. It has equal stats to the Jet Squelcher, which means you’ll still get that delightful range. However, the kit has been modified to include the Burst Bomb sub weapon and Sting Ray special. This kit is all about options, so be sure to take your time and try everything out.